At Penn Mutual, we love what we do. Our success is based on building strong, lasting relationships, and working in unison with our financial professionals to help clients realize all life's possibilities. You may not realize it, but veterans are uniquely qualified for a career in our industry. You come from a culture of service and determination, and you understand the value of teamwork. There's a real need today for individuals with your background, integrity, and strong values to work with individuals, families and businesses-helping them achieve important financial milestones and fully realize all life's possibilities. Penn Mutual and the American College have also joined forces to provide educational support, scholarships, and career opportunities to men, women and the spouses of those transitioning back to civilian life. As a member of the armed forces, we hope you'll consider joining us and pursuing a career in financial services. Join us today and make a positive impact on tomorrow, by helping people achieve the financial security they need to fulfill their future dreams and goals. Over the course of 2018, Penn Mutual Music City has built a relationship with Operation Stand Down, a local non-profit organization dedicated to helping veterans succeed. OSD is committed to equipping veterans and providing assistance with employment services, housing and Veteran Affairs benefits, among other things. It is an honor for us to volunteer with such a great organization. This past Christmas season, we had the opportunity to decorate veteran homes for Christmas, and we enjoyed every minute of it. 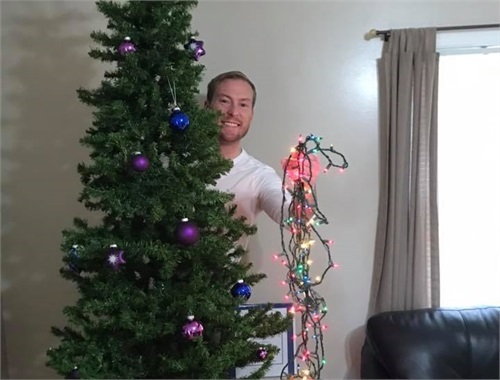 Emerging Adviser, Robert Steagall is photographed above, adding lights to the tree and spreading cheer in the house! 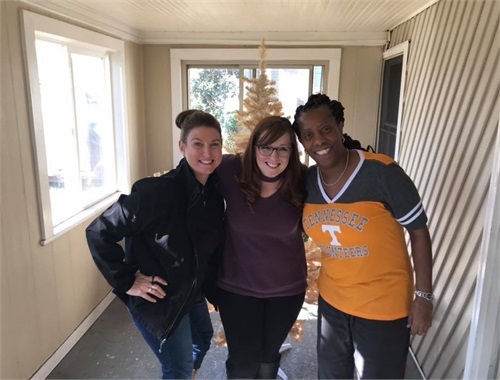 From left to right, above is Operation Stand Down's Volunteer Coordinator Teri Herrera, Penn Mutual Music City's Marketing Coordinator Julia Etters, and one of our favorite veterans Genevieve. With two Christmas trees, we were able to decorate the porch for the holidays as well! As Penn Mutual Music City continues to support Operation Stand Down, we encourage the Nashville community to learn more about OSD. We love their passion to give veterans tools to survive and succeed. How The American College Penn Mutual Center for Veterans Affairs continues to grow and provide over $1M in scholarships.